I grew up seeing many acts of generosity. I’ve watched many people go out to eat with friends and insist on paying, even to the point of making it awkward. Receiving gifts used to make me feel cheap and miserly. Shouldn’t I be giving the gift and paying the bill? It was the senior banquet at my high school. (Christian schools have “banquets” instead of “proms” — perhaps because less dancing is presumed at banquets.) I went to pick up a corsage from my favorite florist slash good family friend. She was well-known for her skills with flowers, and I knew firsthand she made an amazing corsage. She was delighted when I came to the door. She took me to her lair where she created beautiful arrangements. She used green tape and wire to add one flower at a time to the corsage. If a floral accent didn’t look good enough, she unwrapped the tape and replaced it. 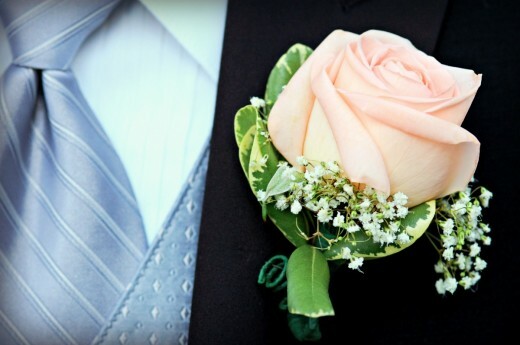 It was a fantastic creation for my date — gorgeous, luscious flowers in an eye-catching, handmade corsage. But like the overly generous guy I was, I tried to pay her. But I insisted, several times, and finally pushed some money into her hands. There, I paid her well for her corsage and got to be generous. As if it was some game I had to win. I remember a tear in her eye as I thanked her and left to go pick up my date for the banquet. Not the tear of joy at “her boy” growing up. Not from another sale to a happy customer. It was the sorrowful tear of one who was denied the pleasure of a sacrifice. A gift. By paying, I demoted a gift into a business transaction. I cheapened it by trading instead of receiving with a grateful heart. Instead, you can be humble and receive gifts well, knowing how much it means to the giver for you to have it. When pride gets in the way, sacrifice is lost! Likewise, the receiver misses out just as much as the giver. Lose, and lose again. Put pride aside, take the gift, be sincerely grateful, and receive a thoughtful gift well! Be vulnerable for a moment. Have you ever screwed up a gift like I have? Or, did someone ever refuse your gift or try to pay you for it?